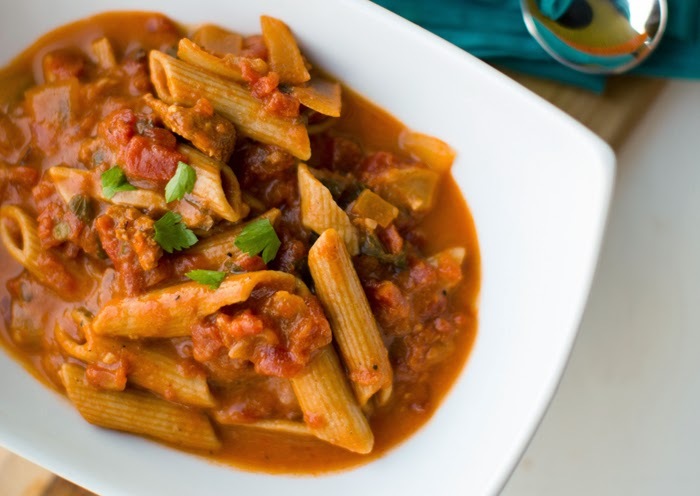 * Stews are very customizable based on ingredients on hand. 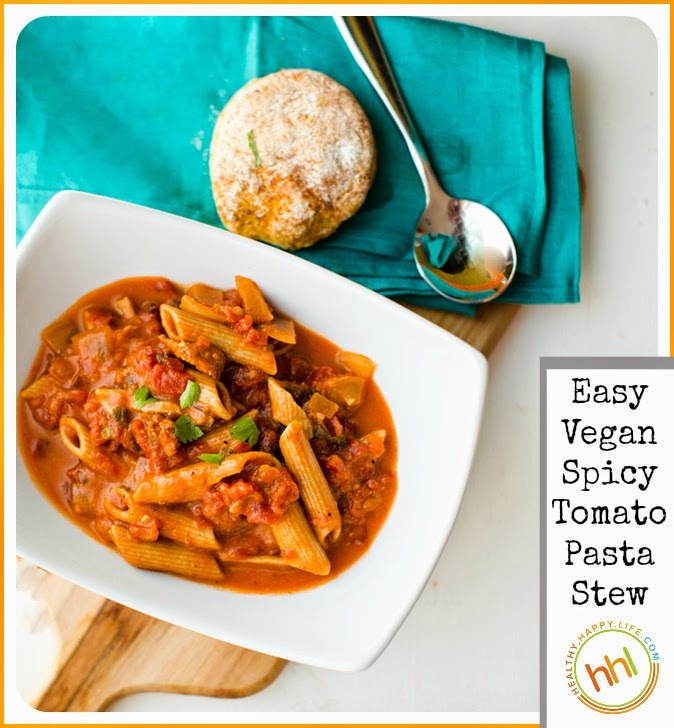 * Stews are vegan-friendly and easily healthy! 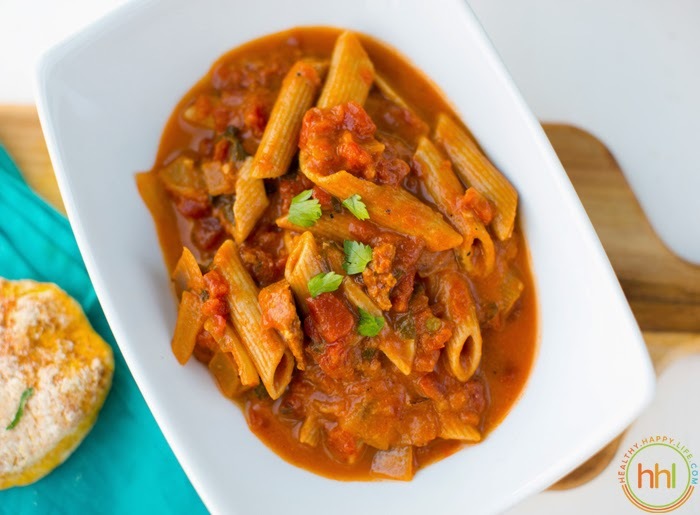 This spicy tomato pasta stew is delicious, easy vegan comfort food! 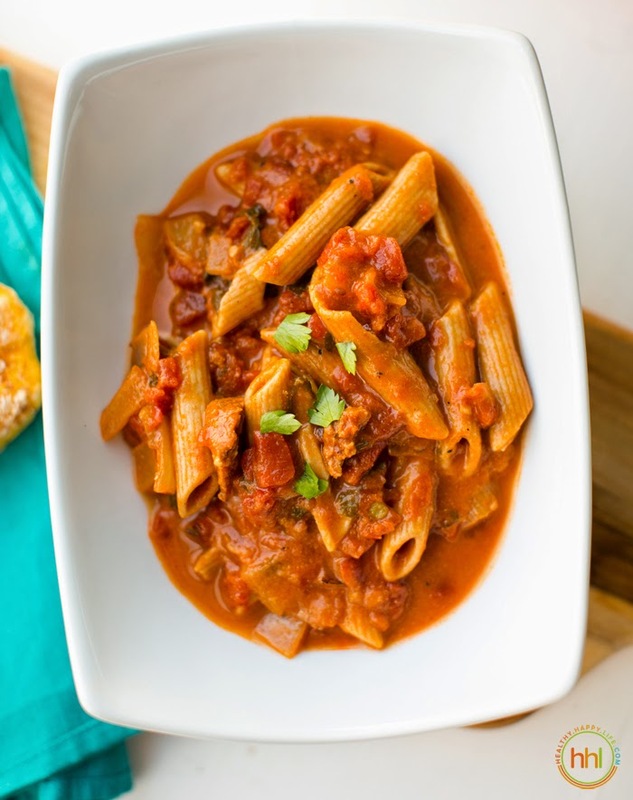 Serve with some toast or biscuits and dinner is done. Add the olive oil to a large soup pot, over high heat. Add in the garlic and onion. Sautè for 2 minutes to lightly brown onion. Add in the tomatoes, broth, sausage, bay leaf and potato. Bring to a boil, then reduce heat to low to simmer for at least twenty minutes. This should soften the potato. 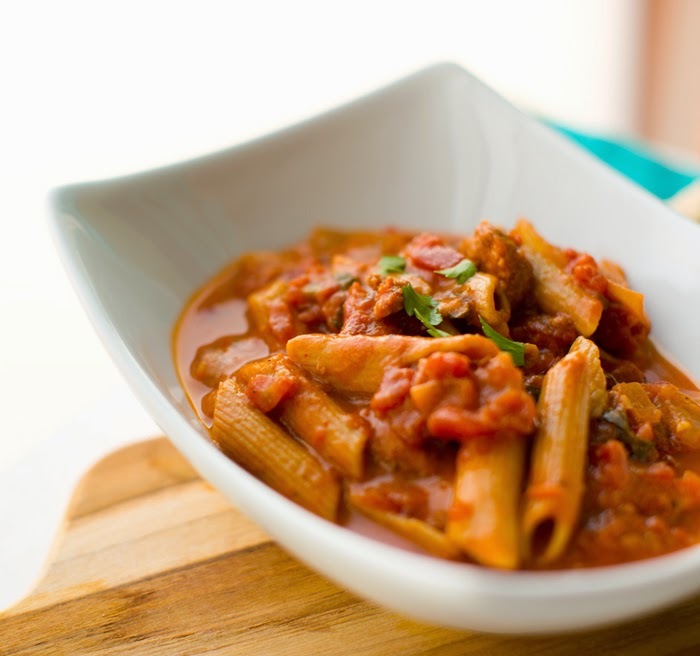 About 30 minutes before you want to serve the stew, add in the pasta and remaining ingredients. Bring to a low boil, cover with lid and reduce to low. 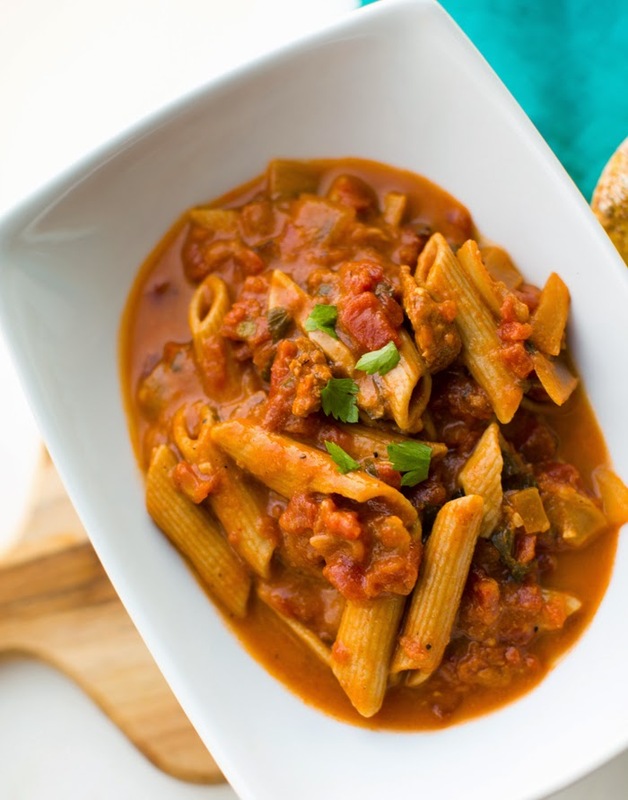 Pasta will cook in 10-20 minutes and absorb the stew flavors. Just before serving, simmer uncovered to reduce the soup (remove liquid) or add a few more splashed of broth to wet the soup. I like to stir in some leafy greens right before serving for added green nutrients and flavor. Try kale or spinach.